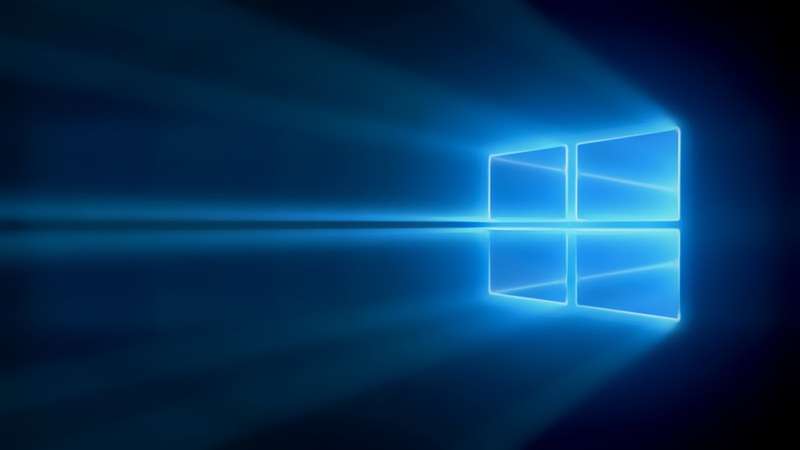 Windows Phone is now optimized to help you do more. You get an intuitive smartphone keyboard, intelligent storage, better data usage, a battery that lasts longer, and much more. Your Windows Phone has a bunch of tools to help you type quickly and accurately. Some work quietly behind the scenes, while others pop up discreetly when you need them like Word Flow, a feature that suggests words and corrects misspellings. Here are some of the ways your phone makes typing easier. Shape writing offers a fast, accurate alternative to typical typing on your phone. Glide your finger around the Word Flow keyboard, and words take shape you can even type with one hand. With quick actions, all it takes is a quick swipe and tap to turn on airplane mode, extend the battery life of your phone, check the status of your Wi-Fi connection, or perform a number of other tasks. Quick actions put your most frequently used settings and apps front and center, and they can be accessed from just about anywhere on your phone, even above your lock screen. 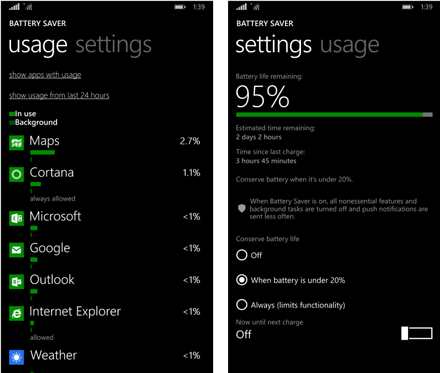 The simplest way to make the battery in your Windows Phone last longer between charges is to use Battery Saver. With Battery Saver, you can turn off all nonessential features and conserve battery in just a few taps. Or, you can limit background usage to save power—you can see how much battery power your apps are consuming and change whether they can run in the background. In this topic we'll tell you how and also give you tips on other ways to conserve battery. 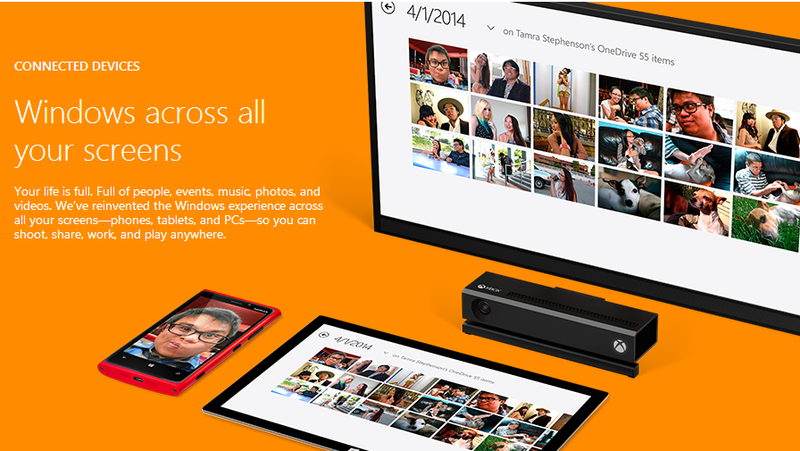 A lot of the cool things you can do on your Windows Phone use storage space. The apps you install, photos you take, and Xbox Music tracks you download each take up a bit of space. If your phone storage gets filled up, you'll need to make room to add new stuff and do other important things, like install phone software updates. So you've checked your space, and your phone is full of videos of your dog playing with your new baby. Of course you don't want to lose those special moments by deleting them. Not a problem. There are a bunch of different options for backing up files, so you can keep the ones you care about and delete the ones you don't. If your phone has an SD memory card slot, you can add storage space to your phone to avoid needing to delete things. You can also store any new photos, music, videos, and more directly on the SD card. As unlimited mobile data plans become less common, it's more important than ever to understand how much cellular data your phone is using. That's where Data Sense comes in. Data Sense shows a detailed breakdown of data usage on your Windows Phone and helps you avoid unexpected charges by indicating when you're nearing your data plan limit. It can also help by putting off data-intensive tasks until you're connected to Wi-Fi. Automatically connecting you to crowdsourced open Wi-Fi networks it knows about. Letting you exchange password-protected Wi-Fi network access with your contacts to give and get Internet access without seeing each other's Wi-Fi network passwords. You can have it do all of these things, some of them, or none at all. That's up to you.